Last year we debuted the first of what we hope to be an ongoing series here at SuperHeroHype, From Comics to Movies. In the two articles, we focused on Christopher Nolan’s The Dark Knight Trilogy as well as the X-Men film franchise. With each we wanted to return to the source material that inspired the movies and reveal that perhaps it wasn’t just a narrative influence held on the films, but that the visual language of the comics had also been translated onto the screen. 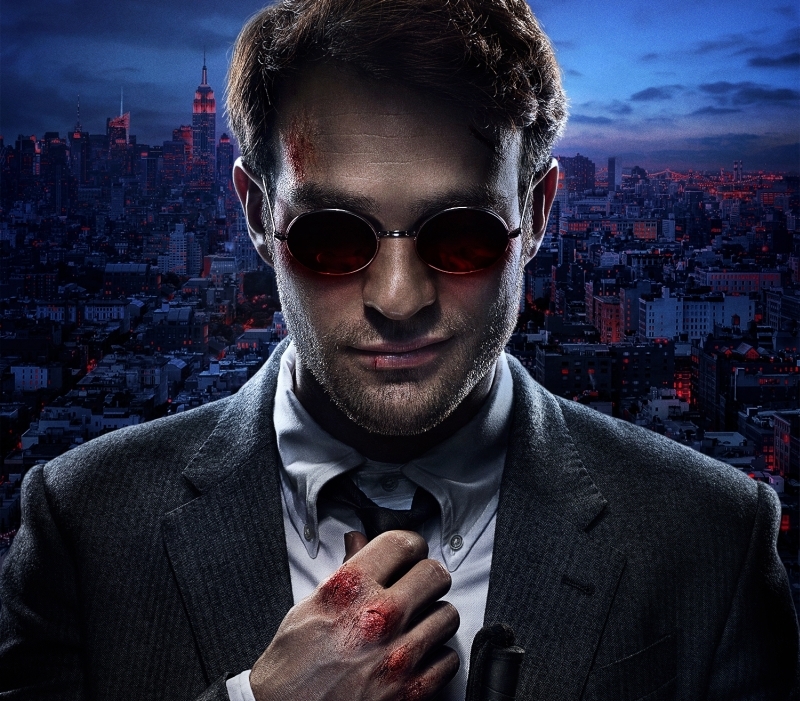 Now we bring you our latest in the series, and because of the format a slight alteration to the title, as we examine the visual references in the first season of the hit series Marvel’s Daredevil. It was clear from the first piece of concept art for the series that Frank Miller’s seminal work Daredevil: The Man Without Fear was a key influence on the show. Season one show runner Stephen S. DeKnight also went on to mention the Elektra Saga as one of his other influences and later that the Brian Michael Bendis run also factored into how they molded the show. What you’ll find below is that only only were the Miller and Bendis works highly influential but that other writers such as Ed Brubaker, Kevin Smith, and even executive producer Jeph Loeb’s works can be seen in the show’s DNA. As with the previous two articles, most of the slides below show the near direct translation of a comic panel come to life on screen; some however show where the series took its inspiration in the form of a line of dialogue (“It’s been too long since my last confession”), a setting (the now famous hallway fight), a cover for an Easter egg, or the first appearance of a character or location (Josie’s bar). 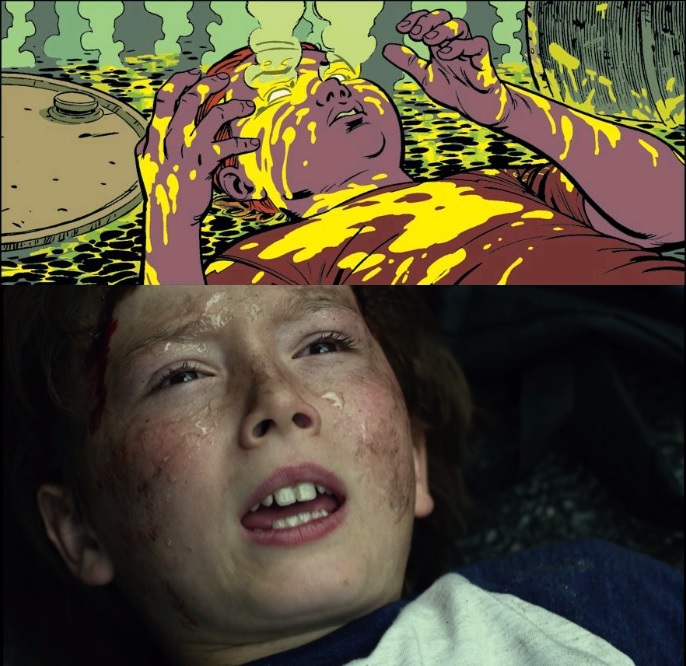 Check out the slideshow and compare the comic book panels with shots from the series below, and let us know your thoughts (and what film or series we should do next) in the comments!